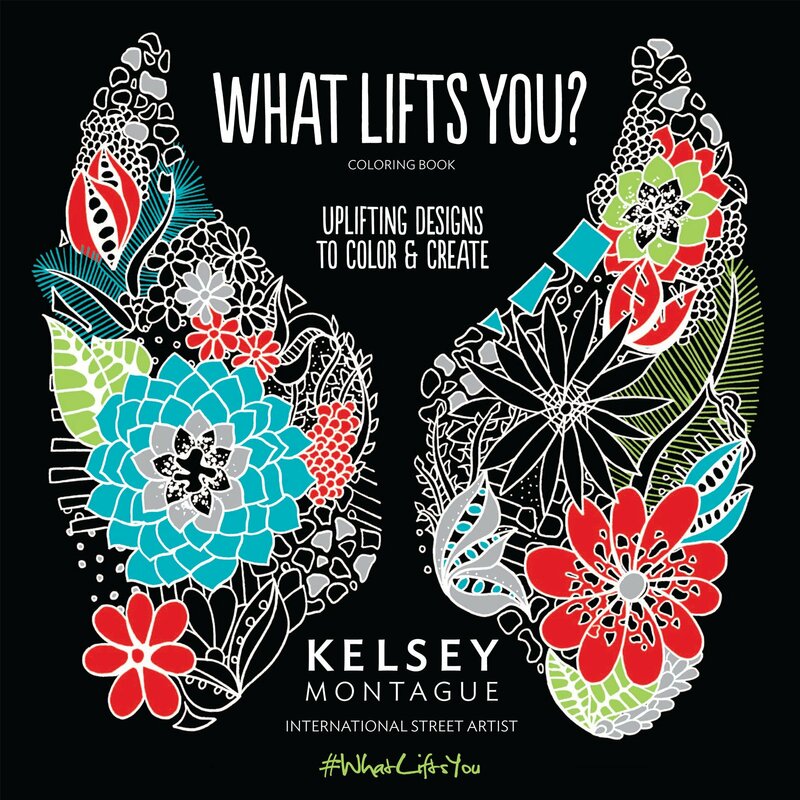 In celebration of the release of coloring book, What Lifts You by international street artist, Kelsey Montague we are giving away one fantastic coloring kit. Scroll below for the details. Famed for blending street art and social media, Kelsey Montague creates wild and whimsical large-scale murals that beg passersby to step into them, become part of the art and share it with the world using #whatliftsyou. Now Kelsey’s exquisite works are at your fingertipsto entice and engage you with their beauty and positivity. Printed on luxe paper, these are intricate and inspiring images you’ll want to linger over and lavish color upon. You’ll want to cut them out, frame them, create one-of-a-kind decor from them. Each is designed to remind you to consider what inspires you and to always keep the answers close to your heart. 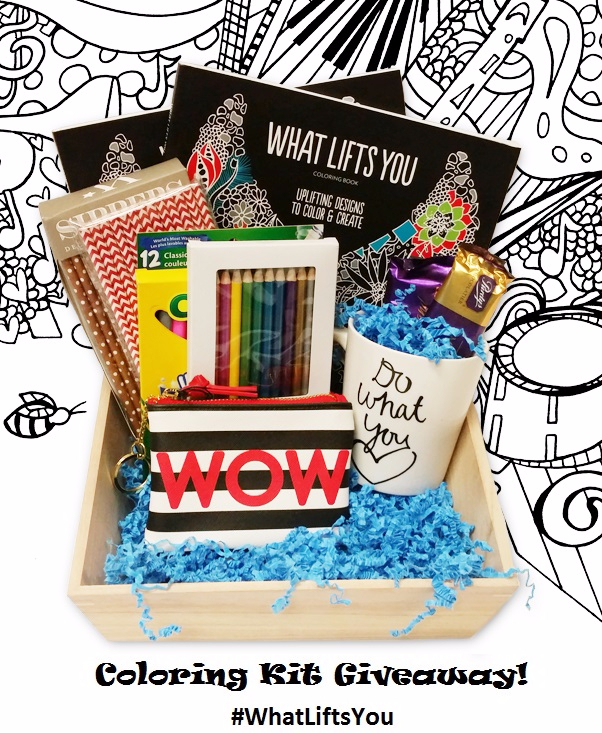 You can also see the full schedule of Kelsey’s coloring book tour here. 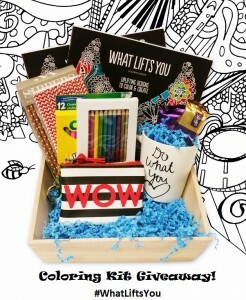 To check out some of Kelsey art, you can visit her on Instagram or her website, kelseymontagueart.com . You can buy What Lifts You on Amazon, B&N, Book Depository and your local bookstores. Giveaway open to US and Canada addresses only. Giveaway open to US and US addresses only. We are not responsible for lost and damaged package. The winner have 48 hours to respond or we have to draw another winner.